note. 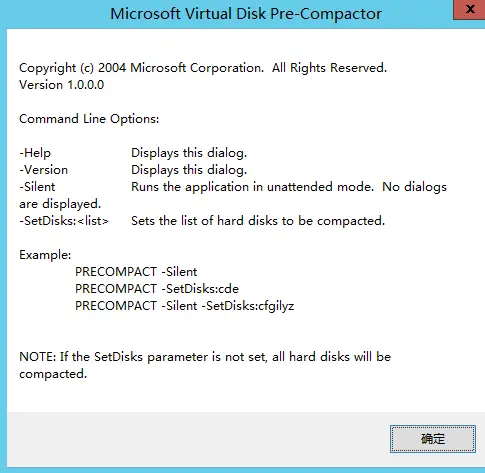 if the setdisks parameter is not set, all hard disks will be compacted. all connected virtual haed disks have been prepared for compaction. you must now close the virtual machine and usc the virtual disk wizard to perform the actual compaction on the vhd files. select vdisk file="D:\Users\Public\Documents\Hyper-V\Virtual Hard Disks\Windows Server 2008 R2.vhdx"
GMT+8, 2019/4/25 13:53 , Processed in 2.427030 second(s), 40 queries , Gzip On, Memcache On.